With both revenue and net profit significantly higher in 2018 than in previous years, this full service drywall company is an excellent acquisition opportunity. The business provides steel stud framing and all aspects of drywall installation and finish primarily to commercial customers and for custom homes. 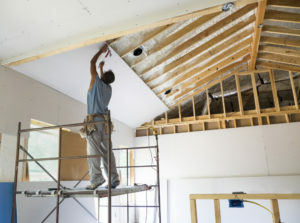 They are experienced at providing special features and finishing that not all drywall companies can provide. They have several long-term, well-trained key employees. Customer service is a priority and as a result, the Company has a good reputation. Most of their business is from repeat customers and referrals. There are systems in place that result in the business operating well. The opportunity for growth is available by increasing marketing efforts, enhancing the web presence and expanding their staff. Ready to retire, the current owner is seeking an opportunity to transition the business to a qualified buyer that will maintain the Company’s legacy and take it to the next level.